Visiting Broomhill Sands in the Romney Marsh is a powerful expansive experience that gets deep into your bones. ‘Away’ consists of three large sculptures inspired by the hard angular structures used across the world to protect coastal environments from erosion. 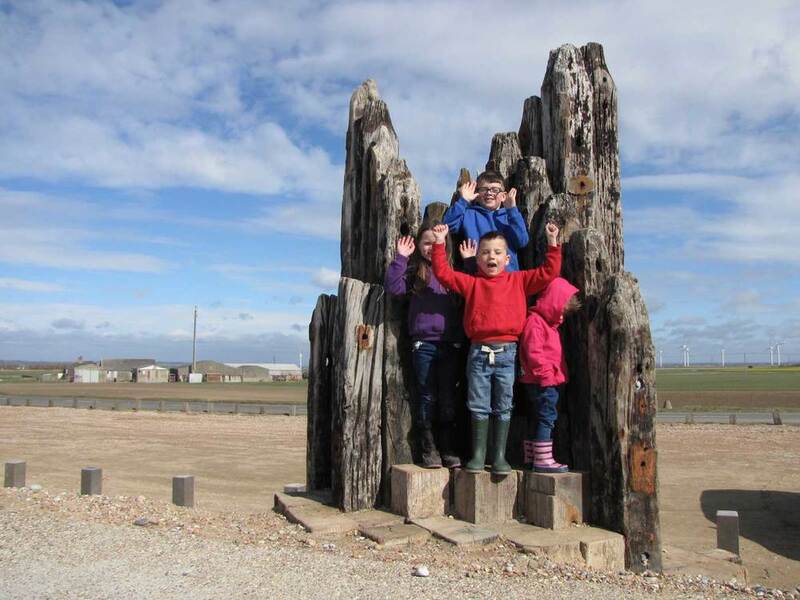 The sculptures were made by cutting and bolting together the old timber piers that were removed from the beach to make way for a new stone sea defence. 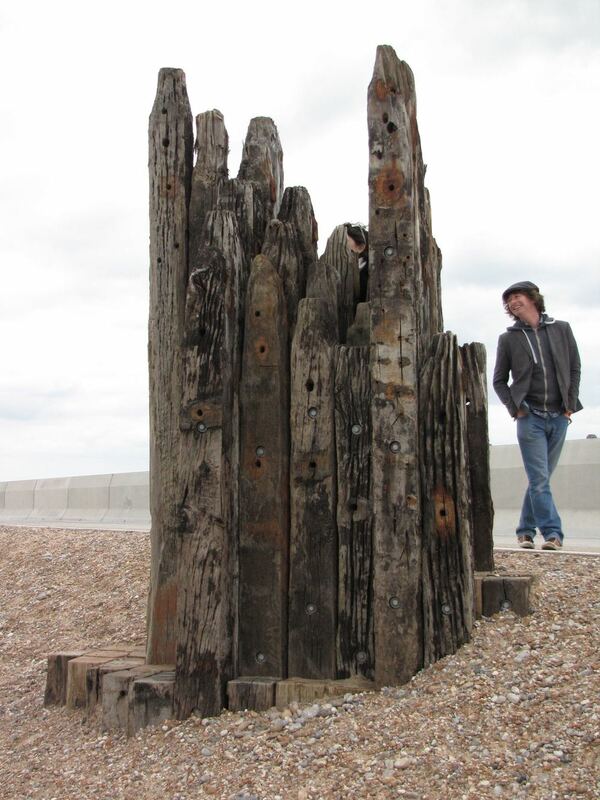 The timber posts from the groynes are arranged tight together in a regular stepped formation, like craggy battlements against the elements. 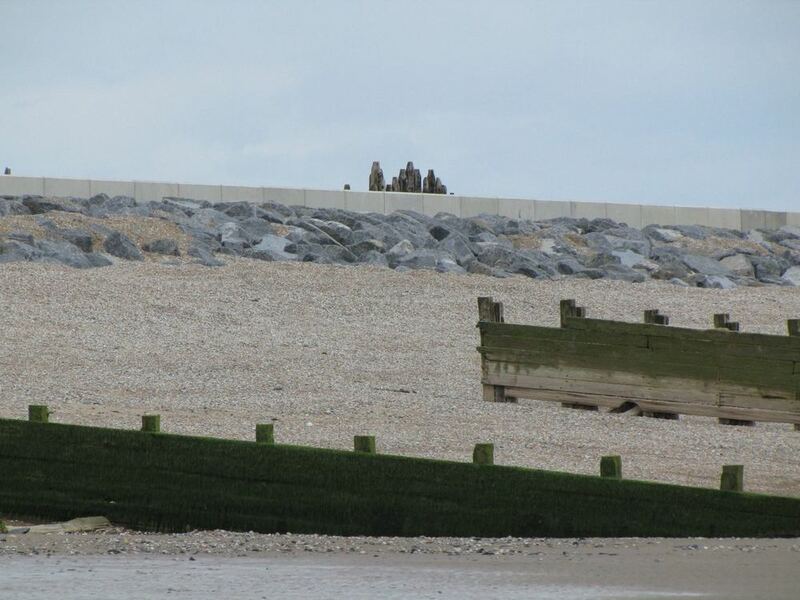 The sculptures also echo the lines described by the original groyne structures progressively stepping up along the beach. 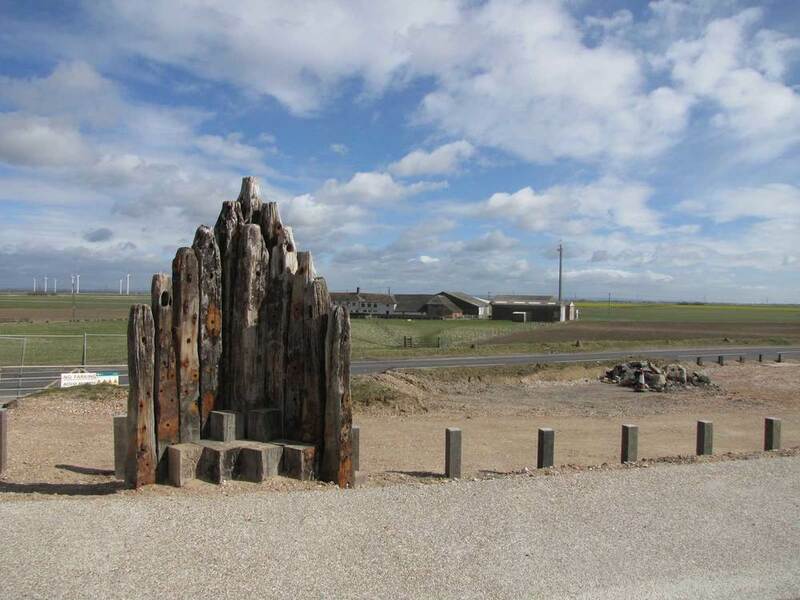 The sculptures are, in form and material, from the place for the place, they are set into a shingle bank that runs down from the concrete walkway to the car park on the landward side of the sea defence. 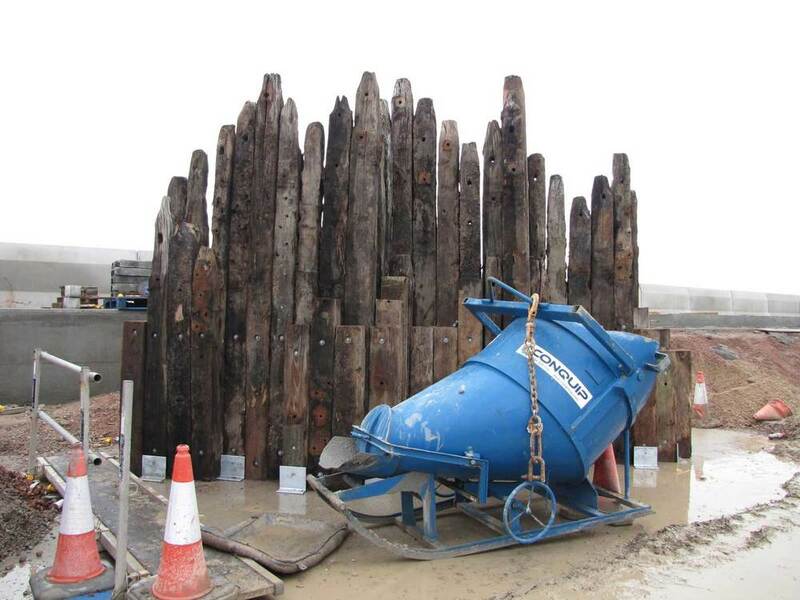 The surface of the timber formed by the tides has been kept, with all its pits, cracks and sandblasted finish. Only the old bolts and any sharp spikes have been removed. 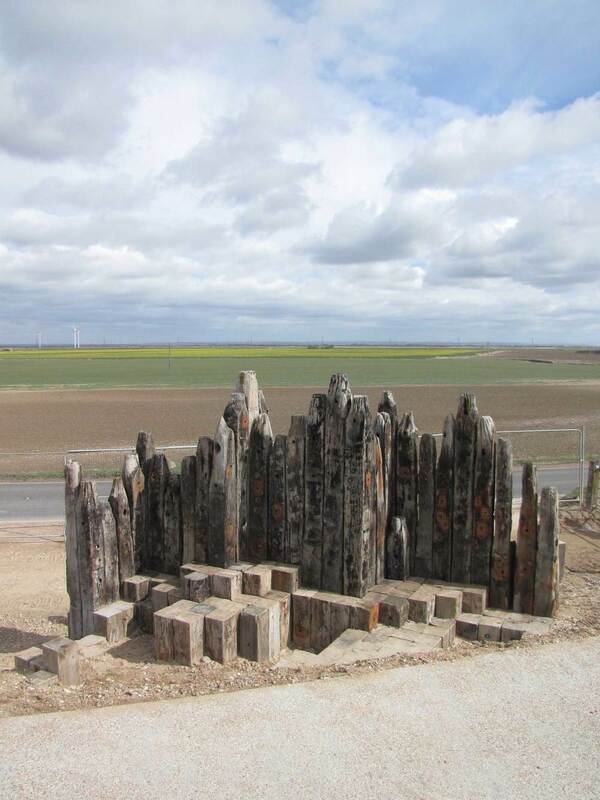 These sculptures are designed to be explored and occupied by visitors, the lower level timbers are cut flat to form steps and seating areas, protected from the prevailing south-westerly wind by the higher parts of the structures. 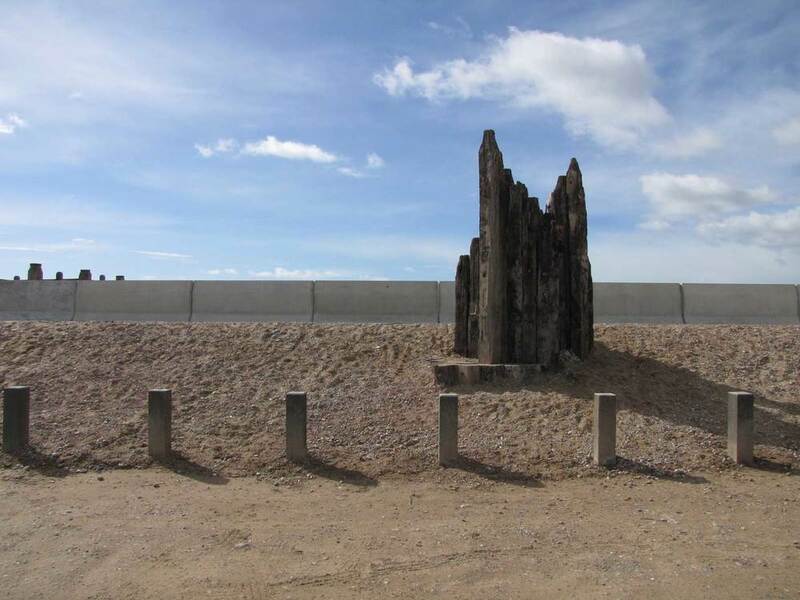 The main contractor for the whole project constructed the sculptures, so developing a positive working relationship across a large team was imperative for the success of this project. Away was funded by Arts Council England and the Environment Agency. During the design phase a series of one day workshops were run with four classes of year 6 children from three primary schools within the coastal flood cell, ‘A level’ students from the Studio School in Rye and students from the University of Brighton were recruited to facilitate the model making. 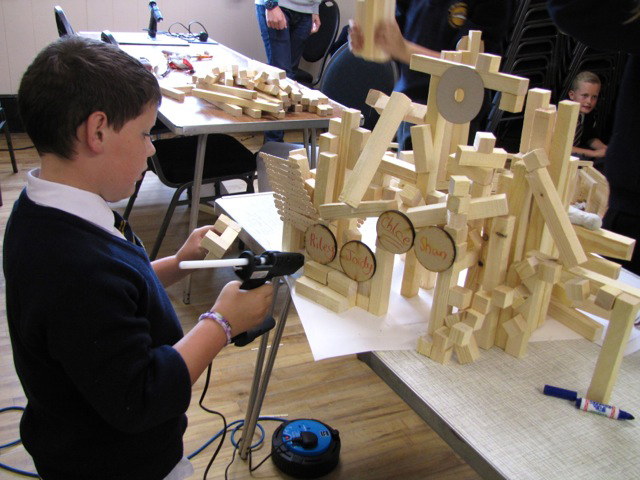 The year 6 children worked in teams to design, make and present their own sea defence sculptures, which were then exhibited at Camber Memorial Hall.